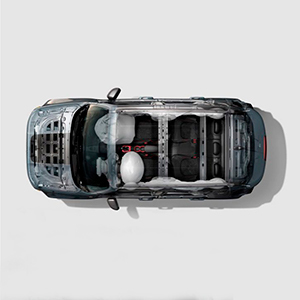 Begin your journey in a car that is equipped for almost anything. The New Jeep® Renegade is a SUV that offers everything a driver needs and nothing they don’t. Its renewed exterior look will make you stand out on the road. Advanced safety features, standard on all trims, together with the brand new Petrol and re-engineerd Diesel engines will let you enjoy performance in full confidence and security. Prepare to explore. For the third year running the Jeep® Renegade has been awarded by 4×4 Magazine, this year as ‘Best Small SUV of the Year’. The Renegade’s success is built on its versatility. But don’t take our word for it: “The Renegade has plenty of image, plenty of kit – and a set of off-road skills to leave the rest of the class standing still” said the panel of experts. TIMELESS JEEP® BRAND STYLING, REFRESHED. 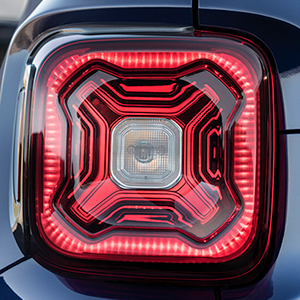 From the updated wheels line-up to the new LED lighting pack, the New Jeep® Renegade is always in line with times. For exploring new trails or heading out on the town, the New Jeep Renegade is ready, willing and able. With best-in-class roominess for up to five people, all the functionality of a generous cargo area in the back, lots of ingenious storage spaces, more room for heads and maximum width in its category, Jeep® Renegade has enough space for all the comfort you are looking for… and more. Think about your idea of a perfect journey. With the New Jeep® Renegade with Uconnect®LIVE services driving becomes an experience to share at 360°. Music, entertainment, social networking, news and maps and all the Android Auto and Apple CarPlay features. 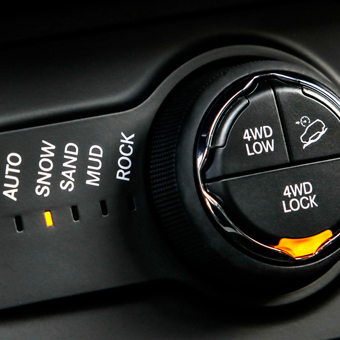 The New Jeep® Renegade is available with two 4×4 systems, both featuring a rear axle disconnect system to seamlessly switch between two-wheel and four-wheel drive. The Jeep Active Drive Low system on the Renegade Trailhawk® helps it earn a Trail Rated® badge, emblematic of its ability to perform well under various conditions. To enjoy a unique driving experience it is important to be safe behind the wheel. The New Jeep® Renegade is designed to provide more than 60 available safety and security features, including Forward Collision Warning-Plus, LaneSense® Departure Warning-Plus, Adaptive Cruise Control, Automatic park assist – Park Sense®, Blind Spot Monitoring, Rear Cross-path detection and the brand new Traffic Sign Recognition and Intelligent Speed Assist.